Although parts of this post have been on my site for years, I’m bringing it altogether and updating it so that it’s clear how I review wines. I am a member of the largest worldwide professional organization of wine writers, The Circle of Wine Writers, along with 276 other writers from more than a dozen countries, including both Canada and the United States. Members include Jancis Robinson, Hugh Johnson, Michael Broadbent, Steven Spurrier, Oz Clarke, Max Allen, Michael Fridjhon, Clive Coates, James Lawther, Roger Voss, Jamie Goode and others. I have been a member now for 10 years and adhere to their ethical guidelines and standards for the wine writing profession. I am also a member of the James Beard Foundation, the International Association of Culinary Professionals and the Association of Food Journalists, all of which have recognized my work with their awards programs. My tasting notes and scores are frequently quoted in liquor store catalogues and in-store shelf cards. How do you score wines? I use a scale of 100 points, although the wines that I’ll recommend will all have scores of 80 to 100. Wines scored 80 and above are all worth drinking: it’s up to you to decide your own cut-off point and whether a wine at 86 is worth $12, $17 or $25+. So how much better is a wine scored 86 than one scored 85? That’s a tough one to answer since the whole exercise in rating wines isn’t scientific. I’m just trying to put a number on a subjective experience mainly because that’s what many people want. And I don’t blame them: Grades are an easy-to-understand shorthand that recognize how busy we are these days. Generally, 80-84 means that I think the wine is good, pleasant, something you’d be happy to bring to a casual get together with friends or to drink on a weeknight. Those scored 85-89 are delicious with some interesting flavors and textures. The range of 90-94 means that the wine gives me pause: It’s lovely, rich in character, unique, complex. A wine 95-100 means that it’s extraordinary, spectacular, words fail to capture it, your eyes will get that distant look when you remember it. What do you mean by Best Value and Top Rated wines? Top Rated Wines: There are usually a number of wines in each batch of reviews that warrant this special designation, and they’re always 90 points and above. However, I only select afew so not all 90+ point wines will achieve this. 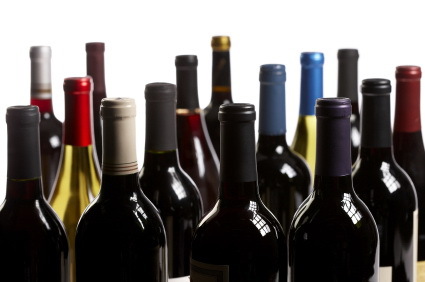 Best Value Wines: Not necessarily the absolute cheapest wines, but those that maximize the price-quality ratio. Although I don’t always go by strict mathematical ratios on this either, but rather what seems to me to represent tremendous value. What’s more important: tasting notes or scores? I feel that my tasting notes are more important than the scores. I may rate a pinot noir at 95 out of 100 because it’s a fantastic example of its type, but if you don’t like silky, medium-bodied wines, then who cares about a high score? You need to check that the style is what you want: full-bodied or light? Fruit flavors that you enjoy? oak? acidity? Don’t just drink the numbers. You’ll also notice that I’m not into exotic fruit. I haven’t smelled jingleberries, have you? Okay, perhaps you have, but I try to keep within the everyday realm of fruit and other aromas so that they’re easily understood. The flip side is that you’ll notice that some fruit are repeated. But I promise never to compare a wine to a gerbil cage. Are suggested food pairings important? You bet. Matching wine with food is really important to me because wine is about context: good meals, good friends and good conversation. There are no perfect matches, but many people appreciate some suggestions. How can your reviews help me with each Vintages Release? Every two weeks the liquor store releases more than 100 new wines, and it recommends them all because they want you to consider buying any or all of the wines that they sell. However, as an independent journalist, I taste all of the wines, but only recommend a certain number per release. I weed out the poorly made and over-priced wines and give you unbiased recommendations of only the most delicious and reasonably priced wines. Why don’t you review wines you don’t like with low scores? Why not include wines that I would rate under 80? They’re not worth your time: Who wants to keep track of all the bad wines when there are thousands of good ones to remember? Do you review wines from the Classics Catalogue? I occasionally taste wines offered through the Classics Catalogue, but not often as the liquor store doesn’t offer tastings for the media of these wines as there are for the Vintages Releases. This is likely due to the rarity and expense of the wines. Why quote other wine reviews? I believe that another criticism or evaluation of the wine provides a helpful comparison for my readers. It’s why I welcome bloggers and community members to post their reviews of the wine as well. In turn, several other wine review sites and the liquor store sites have also been quoting my wine reviews for years. Do you have to ask permission to quote other wine reviews? No. Copyright law in Canada allows third party quotes if it is for the purposes of criticism, like these reviews. That’s why a number of movie, restaurant and travel sites post reviews from multiple critics. Further, it states that the source must be indicated, but it does not state how that source should be indicated. Of course, if a reviewer prefers not to have his or her reviews quoted on the site, they’re removed and/or not posted to begin with. This is based on recent updates to the copyright law and in consultation with a copyright legal expert to understand how exactly it applies to reviewing wines. Plagiarism is an entirely different issue, not to be confused with copyright. Wrongly accusing someone of plagiarism or of copyright breach by misinterpreting the law and/or by not having substantiating facts, constitutes defamation. If done in print, including online, it is also considered libel. How do you indicate these reviews are from other sources? For years I have been both open and consistent in my manner of attribution when I quoted other wine reviews. They were not behind my pay wall, but rather were openly viewed for anyone to see. The reviews were first published in the liquor store catalogue and on the liquor store web site, and were quoted from there, not from the individual publications even though I do fully indicate the original source. Each review is usually only a few sentences long, and is selectively chosen by the liquor store such that any one source is quoted only occasionally to provide a diversity of opinion for wine buyers. Opinions about wine differ greatly as the experience is subjective. You may find it helpful to compare this critical evaluation of the wine with mine as well as your own. May I quote your wine reviews? How do you decide which wines to review? Every year, I taste many wines and select only those that I believe are worthy of your attention for a published review. Often, I choose only one wine to review for every 10-15 wines that that I taste, so I’m kissing a lot of vinous frogs to find those princely bottles. More than 90% of the wines I review, I taste at the local liquor store during monthly tastings held for journalists. I upload the information myself on my site. No wineries or wine agents are involved in this nor do they have to be a member of my site. I also taste wines at wine shows, structured tastings, winemaker dinner events, as well as while traveling to wine regions and in restaurants. Do you review wines that wineries or agencies send you? Yes. About 10% of my reviews result from tasting samples sent to me by wineries or agents. I feel a responsibility to taste all the samples I receive as I’m always trying to find great wines for my readers. I recognize that the cost for a winery or agent to send me samples isn’t insignificant, however these aren’t gifts or for my personal drinking pleasure. They’re important piece of information that I need to do my job, and for a winery to have their wines evaluated. Note: Some wineries send me “tank samples”: wines that haven’t even been bottled and so are very young. Therefore, my review dates may be close to or even before bottling of the wine. Also, liquor stores like the LCBO usually do not buy the entire production of any one wine, especially those that are value priced. So various “lots” or “batches” are shipped to the liquor chains. While I may not have tasted a wine from the exact lot or batch, I am tasting the same wine from the same vintage when I review. Must the winery or agency be a member of your site to have a wine reviewed? No. There are wineries and agencies that do not have a subscription, send samples and I review them. Conversely, there are also wineries with a subscription to the site, that have sent samples and I have not reviewed them because I didn’t think they were worthy of a review. What information do wineries or agencies have to submit with their samples? I ask the winery or agent to submit the basic facts about the wine, such as region, appellation designation, vintage, product codes for the ten liquor store chains across the country, UPC codes, prices, bottle picture, label shot, alcohol level, sugar code, agency contact, bottle size, etc. to my site. I do this because after many years of going back and forth multiple times to get about 15+ pieces of information on each wine that wineries sent, and realizing that I could never keep up with doing that and write the columns that actually paid the bills, I asked wineries and agencies to submit these facts. If I like the wine and decide to post a review, I will verify that the information they’ve submitted is correct and current, then add my score, tasting note and food matches. Only I post a score or rating for the wine: wineries and agencies do not post their own scores on my site, nor do they have any influence over what I post. They may submit their own notes in a different section, clearly differentiated from mine that is marked with the source of the information. To post that information, do they need to be a member? No. Everyone who joins my site gets thirty days of free access to the subscription section to try it out before they decide if they want to pay $2 a month. For a wine already on your site, does it cost anything to post a bottle or label shot? No. Wineries and agencies that would like to post a bottle or label shot for a wine that is already on the site may do so without becoming a member. Why charge anything at all? This isn’t a hobby for me; it’s how I earn my living. The subscription is an administrative fee of $2 a month that doesn’t cover my costs in running the web site, including staff such as a web developer, graphics designer, two app developers, and others, since I am not paid a full-time salary by any publication. Similarly, when wineries enter wines in a wine competition, it doesn’t mean that they’ll win or even get a medal; only that their wines will be tasted. The winning wines are reviewed in the magazines. However, I never promise to publish a review of the wine just because a winery has submitted information on it, nor do I in any way indicate whether the review will be positive or negative. Are you ever paid to review wines? No. All of my reviews are done independently and are not paid for by wineries, wine agents or wine associations. Like other wine writers, I am occasionally asked to moderate an in-person panel or online discussion and I may or may not be paid for my time to do so. But facilitating a discussion is entirely separate from my actual reviews of the wines, which are done separately and independently. Are advertising and editorial kept separate? Yes. Wineries and/or wine agents may advertise on the site, but that does not affect whether their wines are reviewed or the nature of a review, if reviewed at all. Most publications and web sites cover costs through advertising or subscriptions, or both. Our site is no different. Why should I send samples if you taste them at the liquor store? Not all wines for each release are included at the tasting. As well, when you send samples, I’m tasting them with a far smaller group of wines and I have more time to do so. Further, the liquor store tastings take place less than a week before the wines are released in the store, so when I receive samples well in advance, I post my reviews early. How do I send you samples for review? Please e-mail me at natdecants@nataliemaclean.com for the shipping address or any questions. How do you select the individuals you profile? I write about sommeliers or chefs with a passion for wine based on their expertise in a particular area. For example, if the sommelier works at a steakhouse, I would focus on his or her advice about pairing wine with different steak dishes, among others. I look for people who have tips to share with my readers, as well as interesting stories to tell. Do you contact the individuals directly for their answers? Always. To write about anyone without communicating with them directly is not only unethical, it also isn’t journalism. This includes implying what someone is thinking or attributing motivations to them without asking them directly: no one can read minds. The most authentic stories always come directly from the person himself or herself. How do you check the facts? Repeatedly, exhaustively, obsessively. I check first with primary sources: the interviewee and the people who know the interviewee. Then I also check reputable sources: mainstream news outlets, organizations that grant certifications that the interviewee claims to have and so on. I don’t rely on any one source, but rather the combination of cross checking them all. While there are many terrific blogs online, simply quoting them is akin to relying on hearsay. Social media is also a great first-alert platform, but again unreliable for fact-checking as it can become an echo-chamber of misrepresentation, mindless forwarding and context-free micro-aggressions.